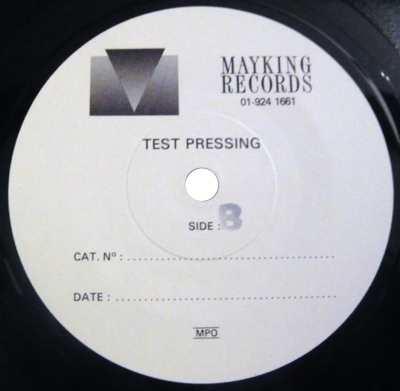 Black vinyl test pressing with Mayking Records labels. Six copies have surfaced. 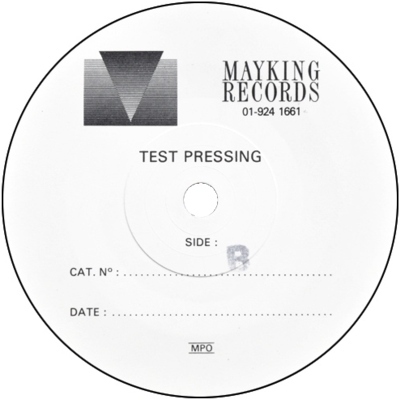 They all have a "B" stamped on the side B label, while the date "7 NOV 1990" and "A" are stamped on the plastic sleeves they came in, together with a handwritten catalog number. 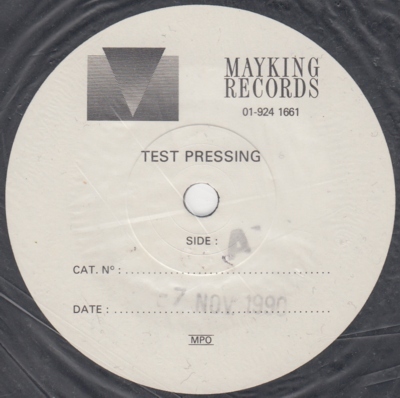 This seems to be the way they left the pressing plant. Some copies have various handwritten text on the labels as well. 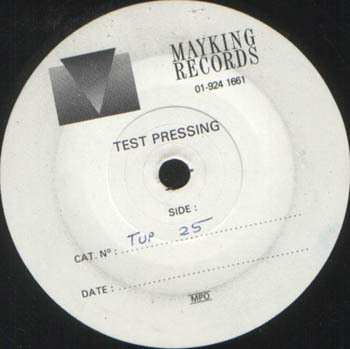 This may have been added by the record label or the distributor, or by a collector. 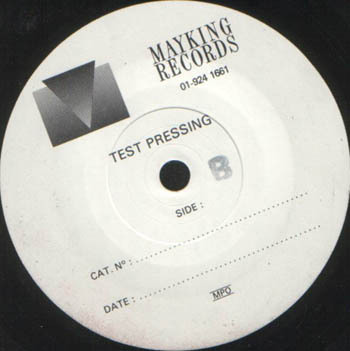 Usually 25 test pressings were made for releases they thought would sell well , which were used by sales representatives from the distributor to gather advance orders from retailers throughout the UK . Less copies have been found of the 7" than of the 12", so perhaps they mostly used the latter for this purpose. None of the 7" test pressings came with release sheets, which supports this. 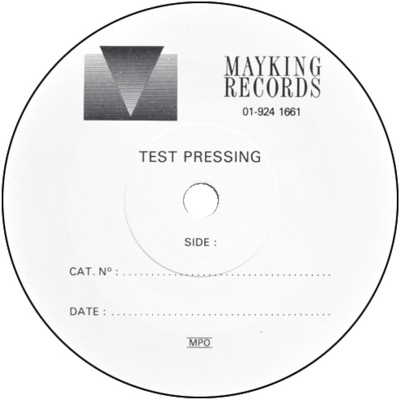 However, at least one 7" was used by a sales representative . 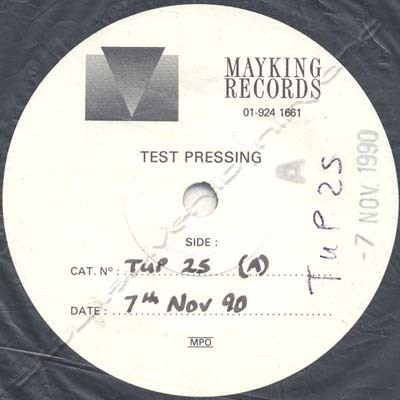 The lacquers were cut by Noel Summerville at Utopia in London, UK, as identified by "NS" in the matrix code. The rest of the matrix code was written by MPO prior to plating as the original matrix codes were written in the outer area of the lacquers, which was trimmed off prior to plating .